This is the home you have been waiting for! 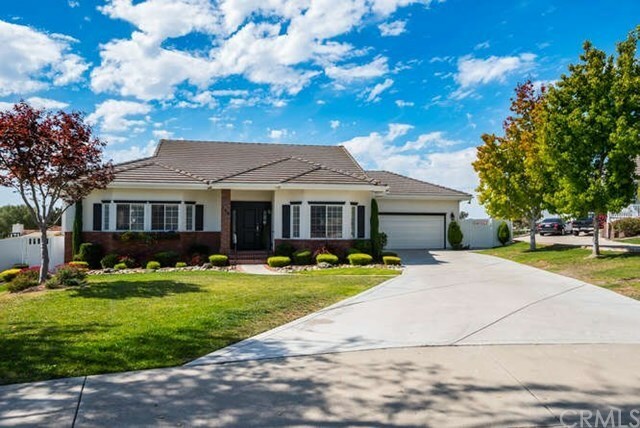 Sought after East Arroyo Grande cul-de-sac in Oak Park Estates on a half acre! The home features 4 bedrooms and 3 bathrooms with flexible living spaces that are open yet cozy. Off of the garage you will find a small attached studio with a bathroom that lends itself to many uses including guest room, live in parents, grown kids, office, shop, craft room! In addition to being meticulously maintained there have been many recently upgraded features over the past 5 years including kitchen, front facade, drive way, and drainage. Step out of the Living Room to the large Trex Style deck leading to a back yard that is a completely landscaped private gem complete with a Gazebo. The yard partially backs up to a greenbelt filled with mature Oak Trees which adds to the feel of being rural yet in a very desirable, central location!